Description : ViralTracker is a smart, powerful technology that is easy to use. 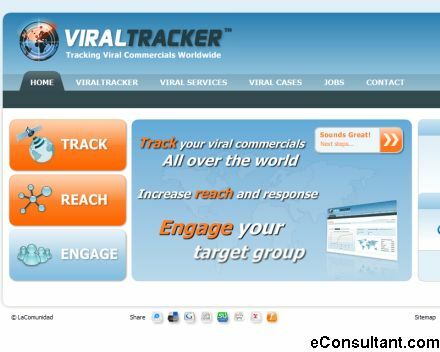 ViralTracker measures the reach and response of viral internet commercials (QT, Flash, WMD) at millions of weblogs, forums, websites, communities, social networks and over 140 video portals (including YouTube, Google Video, MSN Video, MetaCafe, Tudou and many local video portals). In real-time and worldwide.